1. Materials and displaying: Adoption of PVC composite material through special production process, which is waterproof, fireproof; The ultra-large 5.7 inch LCD displaying panel, convenient for the work of the operator. 2. 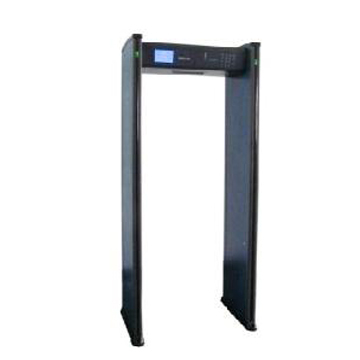 The LED monitor embedded at both the left and right sides of the gate leaf can accurately indicate the prohibited articles which are hidden at the places of human body with corresponding height. The alarming areas can be indicated by the column lamps at the both left and right gateposts. 3. It can be connect with computer and the result can be display on the computer(optional). 4. The metal detecting gate can be operated either thorough the remote control or by the operation panel directly.